Laboratory Power Supply MCP M10-QD305 2x30V/5A Dual Linear Adjustable Power Supply is a equipment with high stability, high reliability, low noise, its output voltage or current can be continuously adjusted, and its constant voltage and current can auto-conversion. This low cost and universal power supply can be used in many different areas, from test of R&D equipment to test of production lines. Laboratory Power Supply MCP M10-QP303E 2x30V/3A 6,5V/3A 15V/1A DC Linear Adjustable Power Supply is a equipment with high stability, high reliability, low noise, its output voltage or current can be continuously adjusted, and its constant voltage and current can auto-conversion. This low cost and universal power supply can be used in many different areas, from test of R&D equipment to test of production lines. Laboratory Power Supply MCP M10-QP305E 2x30V/5A 6,5V/3A 15V/1A DC Linear Adjustable Power Supply is a equipment with high stability, high reliability, low noise, its output voltage or current can be continuously adjusted, and its constant voltage and current can auto-conversion. This low cost and universal power supply can be used in many different areas, from test of R&D equipment to test of production lines. Laboratory Power Supply MCP M10-QR303 2x30V/3A 5V/1A DC Linear Adjustable Power Supply is a equipment with high stability, high reliability, low noise, its output voltage or current can be continuously adjusted, and its constant voltage and current can auto-conversion. This low cost and universal power supply can be used in many different areas, from test of R&D equipment to test of production lines. Laboratory Power Supply MCP M10-QR305 2x30V/5A 5V/1A DC Linear Adjustable Power Supply is a equipment with high stability, high reliability, low noise, its output voltage or current can be continuously adjusted, and its constant voltage and current can auto-conversion. This low cost and universal power supply can be used in many different areas, from test of R&D equipment to test of production lines. 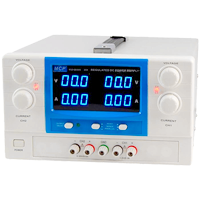 Laboratory Power Supply MCP M10-QS1005 100V/5A DC Linear Adjustable Power Supply is a equipment with high stability, high reliability, low noise, its output voltage or current can be continuously adjusted, and its constant voltage and current can auto-conversion. This low cost and universal power supply can be used in many different areas, from test of R&D equipment to test of production lines. Laboratory Power Supply MCP M10-QS2005 200V/5A DC Linear Adjustable Power Supply is a equipment with high stability, high reliability, low noise, its output voltage or current can be continuously adjusted, and its constant voltage and current can auto-conversion. This low cost and universal power supply can be used in many different areas, from test of R&D equipment to test of production lines. 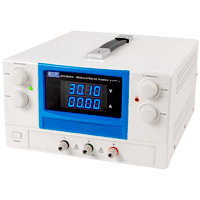 Laboratory Power Supply MCP M10-QS3010 30V/10A DC Linear Adjustable Power Supply is a equipment with high stability, high reliability, low noise, its output voltage or current can be continuously adjusted, and its constant voltage and current can auto-conversion. This low cost and universal power supply can be used in many different areas, from test of R&D equipment to test of production lines. Laboratory Power Supply MCP M10-QS3020 30V/20A Linear Adjustable Power Supply is a equipment with high stability, high reliability, low noise, its output voltage or current can be continuously adjusted, and its constant voltage and current can auto-conversion. This low cost and universal power supply can be used in many different areas, from test of R&D equipment to test of production lines. 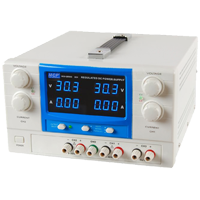 Laboratory Power Supply MCP M10-QS3030 30V/30A DC Linear Adjustable Power Supply is a equipment with high stability, high reliability, low noise, its output voltage or current can be continuously adjusted, and its constant voltage and current can auto-conversion. This low cost and universal power supply can be used in many different areas, from test of R&D equipment to test of production lines. 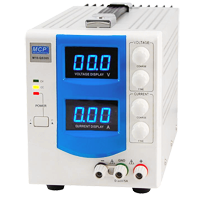 Laboratory Power Supply MCP M10-QS305 30V/5A DC Linear Adjustable Power Supply is a equipment with high stability, high reliability, low noise, its output voltage or current can be continuously adjusted, and its constant voltage and current can auto-conversion. This low cost and universal power supply can be used in many different areas, from test of R&D equipment to test of production lines. 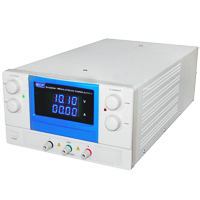 Laboratory Power Supply MCP M10-QS6010 60V/10A DC Linear Adjustable Power Supply is a equipment with high stability, high reliability, low noise, its output voltage or current can be continuously adjusted, and its constant voltage and current can auto-conversion. This low cost and universal power supply can be used in many different areas, from test of R&D equipment to test of production lines. Laboratory Power Supply MCP M10-QS6020 60V/20A DC Linear Adjustable Power Supply is a equipment with high stability, high reliability, low noise, its output voltage or current can be continuously adjusted, and its constant voltage and current can auto-conversion. This low cost and universal power supply can be used in many different areas, from test of R&D equipment to test of production lines. 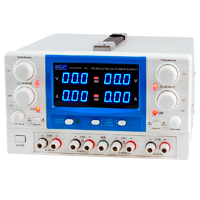 Laboratory Power Supply MCP M10-QS603 60V/3A DC Linear Adjustable Power Supply is a equipment with high stability, high reliability, low noise, its output voltage or current can be continuously adjusted, and its constant voltage and current can auto-conversion. This low cost and universal power supply can be used in many different areas, from test of R&D equipment to test of production lines. 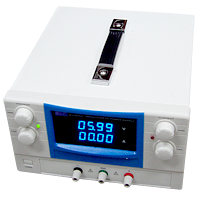 Laboratory Power Supply MCP M10-QS605 60V/5A DC Linear Adjustable Power Supply is a equipment with high stability, high reliability, low noise, its output voltage or current can be continuously adjusted, and its constant voltage and current can auto-conversion. This low cost and universal power supply can be used in many different areas, from test of R&D equipment to test of production lines.